@Blaze has decided to make a fantasy league, so if you are interested in the world cup, why not join the league and compete against each other? How to join? Follow the link in the quote from Blaze, set up your account and team and then join the league using the League code! Go go go! Only 6 hours left to get your team in! What's a fantasy football league? Fantasy football is a game in which the participants serve as the general managers of a virtual football team. The competitors choose their team rosters by participating in a draft in which all players of a real football league are available. Points are based on the actual performances of the players in real-world competition. Oh snap! It has been leaked...Not going to happen afaik, sorry. 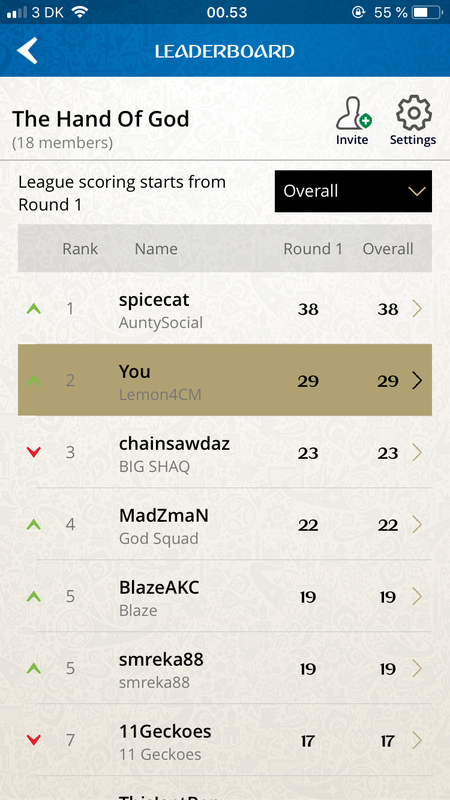 AuntySocial and Lemon4CM have both made good use out of their captain Griezman who scored a banger of a penalty and have made both teams rise to the top of the league! Did I? Completely forgot this was a thing. Well Lemon4CM is no longer there, I'll update the final standings in a bit.